UK Stampin' Up! 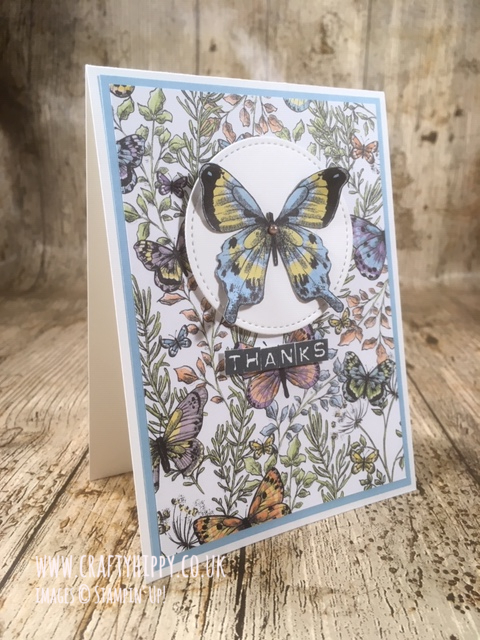 Demonstrator | make beautiful cards | Crafty Hippy: Team Botanical Butterfly DSP with the Labeler Alphabet stamp set, both by Stampin' Up! 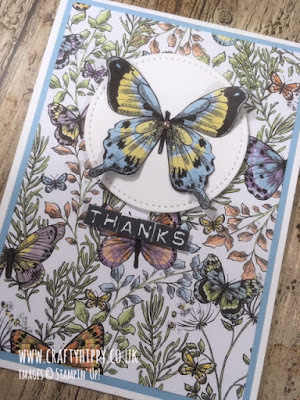 Team Botanical Butterfly DSP with the Labeler Alphabet stamp set, both by Stampin' Up! Today's project features the FREE Botanical Butterfly Designer Series Paper by Stampin' Up! 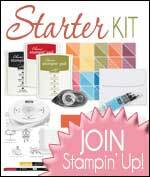 which I teamed with the Labeler Alphabet stamp set. You can get your hands on this paper by spending £45 on Stampin' Up! products - or you can choose something else during our annual giveaway Sale-A-Bration. Watch the video below and see just how easy it is to make this gorgeous card. I really adore this paper, there is so much you can do with it! And it co-ordinates with several items in our new Gingham Gala Suite. 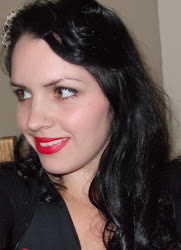 As always, a full list of the items that I've used are posted at the bottom of this blog post. I will be doing a few more videos about this wonderful paper so be sure to subscribe to my YouTube channel.